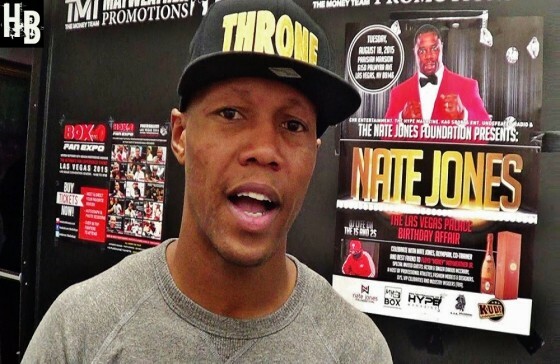 Anywhere you go around the fight scene in Las Vegas, you very well may find former two-division world champion Zab “Super” Judah roaming around. Judah is a fixture at all of the fights in the city, both events big and small, and he always seemed to have a knack for working with the next generation of fighters. 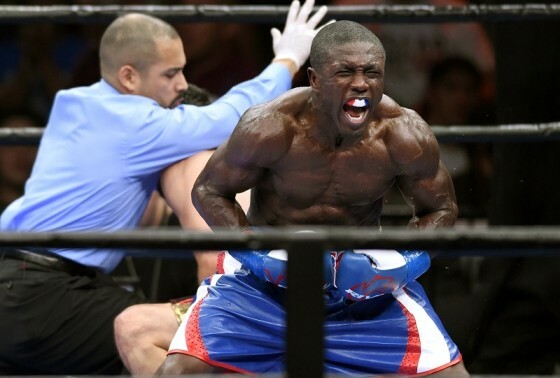 Andre Berto to wear Rival gloves vs. Floyd Mayweather? 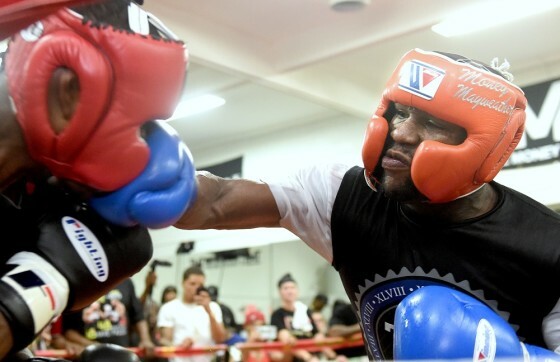 As the Sep. 12 Floyd Mayweather vs. Andre Berto matchup pushes closer, all indications point towards both men taking the contest extremely seriously ahead of their welterweight title showdown. 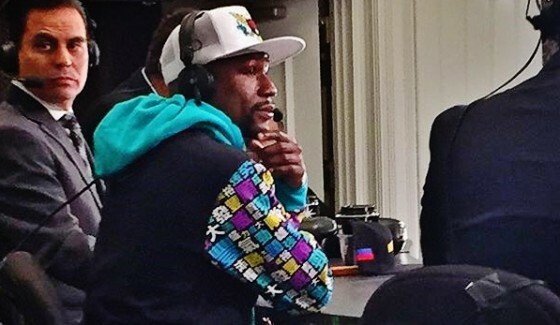 The matchup is set for SHOWTIME pay per view inside of the MGM Grand Garden Arena. 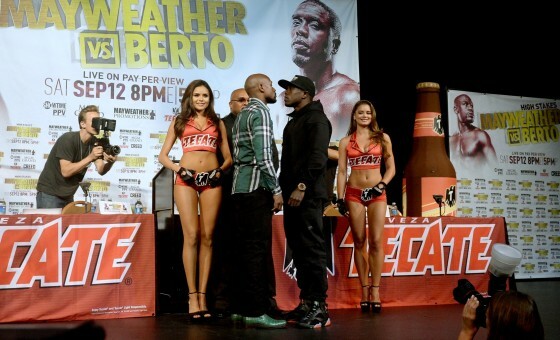 At the 30-day weigh-in, Mayweather hit the scales at 149.8 pounds while Berto was eight pounds over at 155. 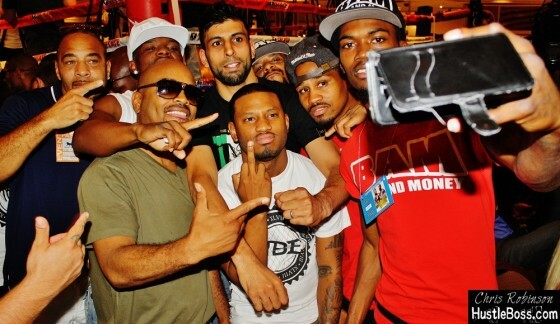 Hustle Boss recently caught up with boxing legend Shane Mosley inside of Barry’s Boxing in Las Vegas, following some very rigorous work with former IBF welterweight champion Shawn Porter. 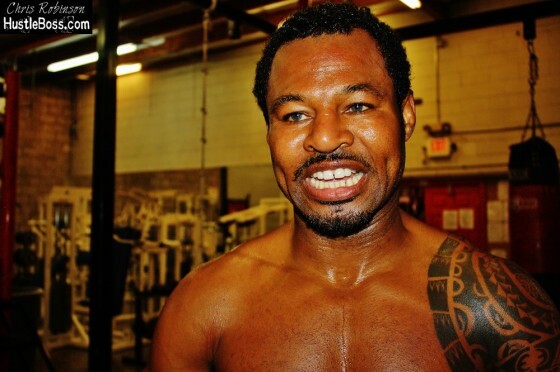 Mosley, a three-division champion during his day, is still actively fighting and will be locking horns with Ricardo Mayorga on Aug. 29 in a rematch in Los Angeles. 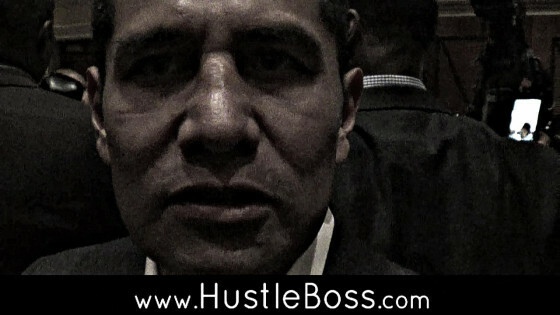 At the 2015 Nevada Boxing Hall of Fame, Hustle Boss caught up with boxing legend and former three-division world champion Marco Antonio Barrera. 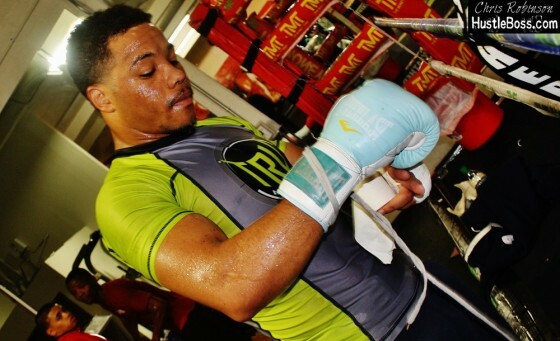 A champion in the 122, 126, and 130 pound weight classes during an illustrious 22-year career, Barrera is beloved by fight fans for constantly leaving everything inside of the ring during his peak fighting years. 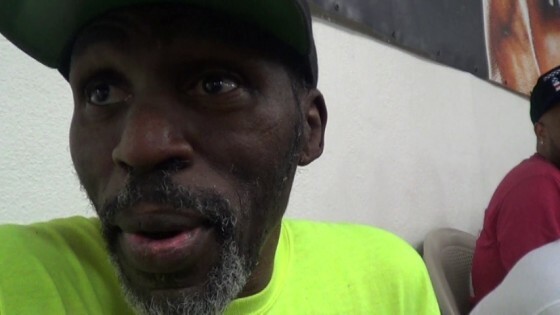 It’s always interesting hearing what legends have to say about another in boxing. 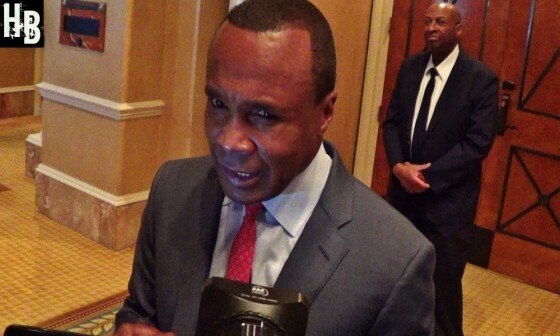 During his 20-year career in the sport, Sugar Ray Leonard left an imprint that was undeniable. From winning world titles in five divisions to constantly facing the best that the game had to offered, there were very few who did it like Leonard and fans always love when he gives feedback on today’s crop of stars. 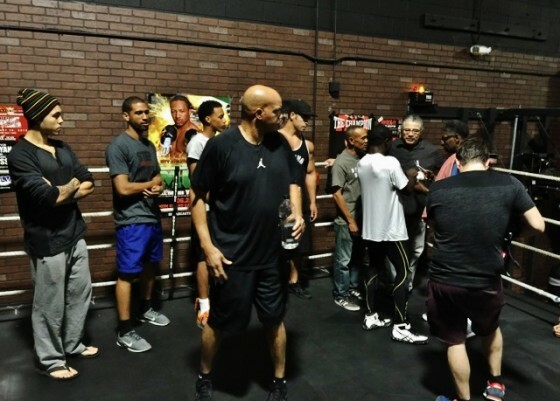 On Saturday, Aug. 8, the 2015 Nevada Boxing Hall of Fame was held. 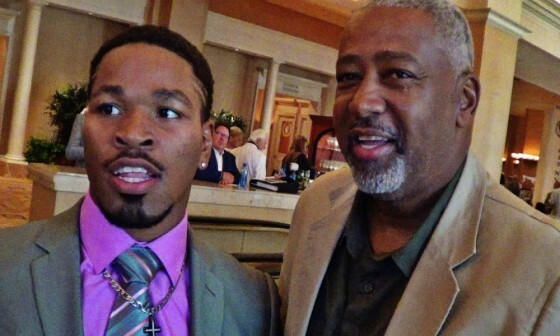 As is always the case with any NVBHOF ceremony, there was a wide array of boxing luminaries in the building. 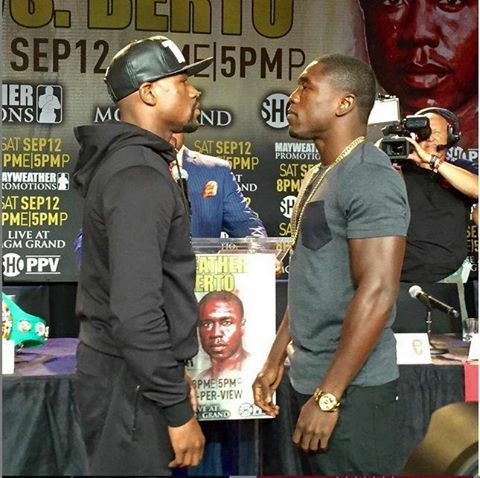 On Thursday, Aug. 6, Floyd Mayweather came face to face with Andre Berto inside of JW Marriott at L.A. Live in Los Angeles, Calif.
Mayweather (48-0, 26 KO’s) will face Berto (30-3, 23 KO’s) on SHOWTIME pay per view on Sep. 12 from the MGM Grand in Las Vegas and he has been looking sharp, as is always the case, back in training camp. 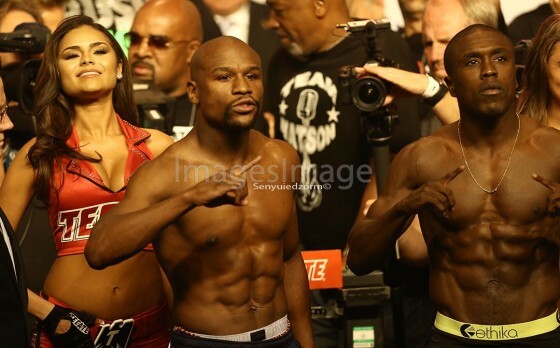 It was officially announced this week that Floyd Mayweather will be facing off with former welterweight champion Andre Berto on Sep. 12. 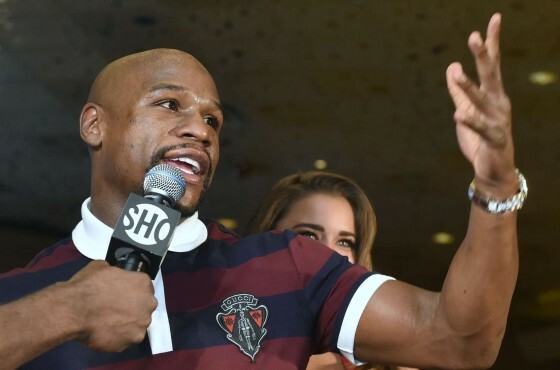 The bout will take place on SHOWTIME pay per view from the MGM Grand in Las Vegas, Nev. 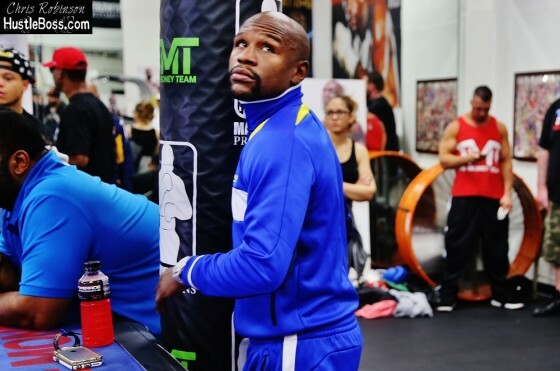 The vibe inside of the Mayweather Boxing Club has been relatively low key, polar opposite from his camp for Manny Pacquaio, and the Berto fight definitely has a different feel to it. 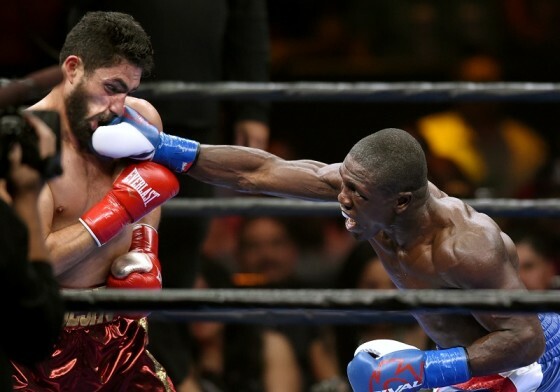 On Tuesday, Aug. 4, it was confirmed that Andre Berto has indeed been selected as Floyd Mayweather’s next opponent for his Sep. 12 pay per view in Las Vegas. 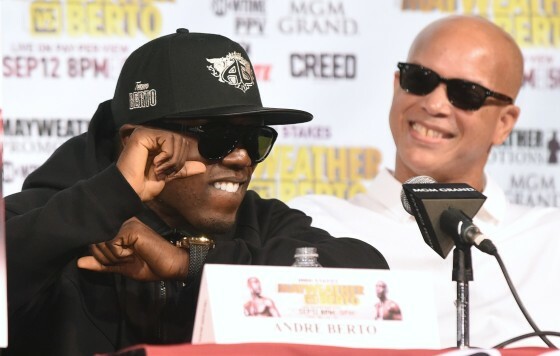 Mayweather announced the news on his Instagram Page and while Berto, who has gone just 3-3 in his last six bouts, may be a heavy underdog, his trainer Virgil Hunter sees no other choice then to go into the bout with full confidence.